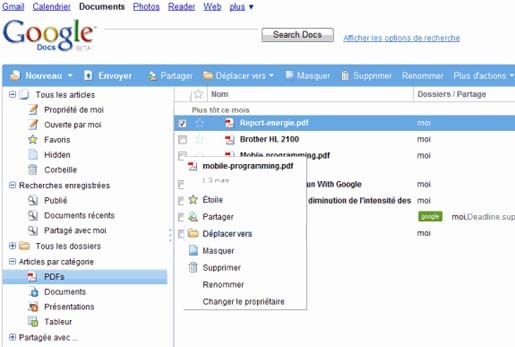 how-to-send-scrap-automatically-in-orkut/">Moreover, you can have translation from English to French for Google Docs. As you see in the picture, Google Toolbar translated the navigation bar, the sidebar, the list of documents and contextual menu. Google Toolbar can detect the changes and translates the new message in real time once you use the search-google-in-reverse-order-funny-experience/">interface and select an option. When you use thisimportant-gmail-tips-to-become-stuff/"> feature for Google Reader, the toolbar will translate all the posts as soon as they are loaded. Another interesting feature from the new experimental version of Google Toolbar is a sidebar for Google Bookmarks that brings many of the features that are already available in GMarks, a popular Firefoxhow-to-send-sms-via-gmail/"> extension.